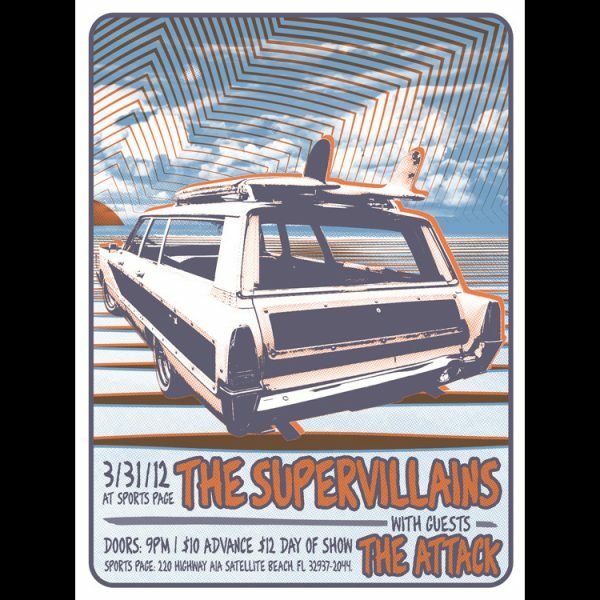 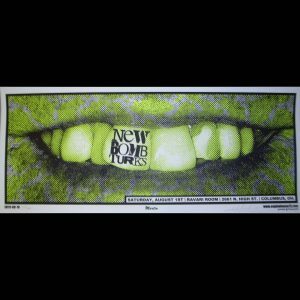 The Supervillains screen printed poster featuring The Attack at Sports Page in Satellite Beach, Fl on 3/31/12. Designed, signed and numbered by poster artist Ryan Rawtone. 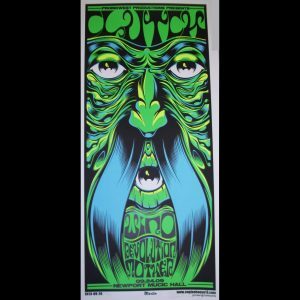 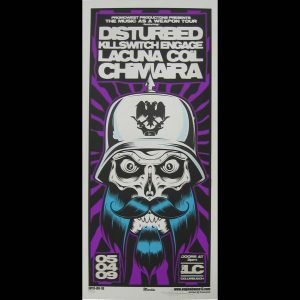 Poster Size 17.5″x23″ This was the second show of 2 in a row. 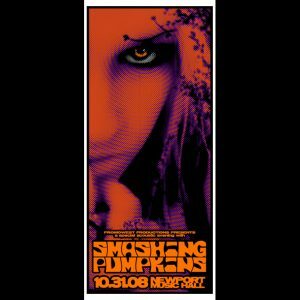 Poster from 3/30/12 was designed to go together with this one.